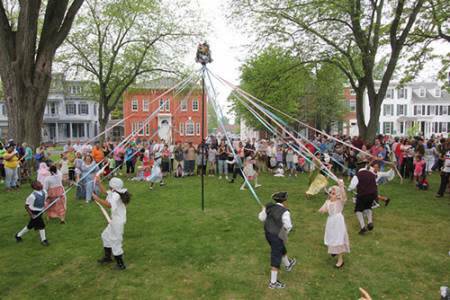 The 86th Annual Dover Days Festival, is one of Delaware’s largest and longest-running free events, is entirely dedicated to promoting our state’s heritage and culture. Dover Days is easily the biggest parade in Kent County, with Delaware’s Governor serving as Grand Marshal. Each year’s Dover Days activities showcase our state’s history and heritage, as well as highlights from more contemporary times such as the parade, traditional Maypole Dancing, games, tethered hot air balloon rides, moon bounce village, over 100 craft and food vendors, music, colonial artisans’ village and historic re-enactment groups for the Revolutionary War, WW II and the Civil War. Dover Days is a true celebration of the first state — right in the heart of the first capital!